The wind is howling outside, and you’re curled up under four blankets. “It’s freezing in here!” you mutter as you push the up button on the thermostat yet again. If it seems like you’re turning the heat up, up, up or the air conditioning down, down, down but nothing seems to be happening, a clogged filter could be your culprit. Lack of proper air flow caused by clogged filters is the No. 1 cause of inefficient HVAC systems. If your system seems like it’s just not working the way it used to, it’s probably time to call in the pros. The upfront cost might seem a little high, but if your system continues to work highly efficiently to heat and cool your home, you’ll save money in the long run. Leaks in your HVAC system can be easy to diagnose but a little harder to fix. Still, it’s great information to give your tech before he gets started. If a pipe is leaking at a junction, a seal could be dry-rotted or corroded. Be sure to pass on the information to your HVAC technician before he or she comes out so he or she can be better prepared to help you. 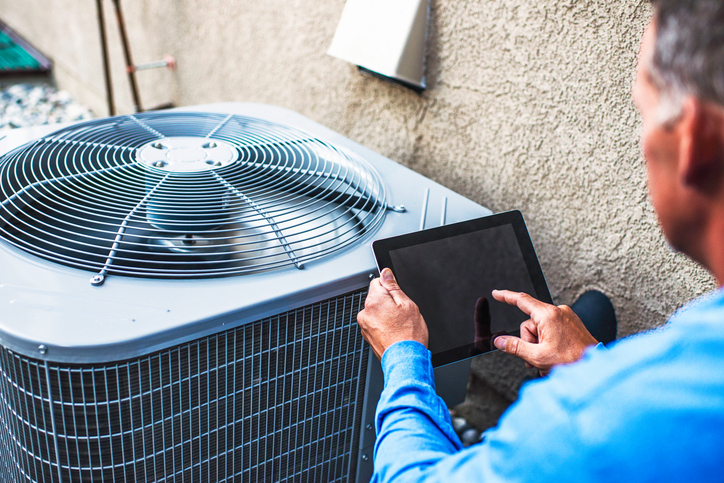 Even if you have a gas or oil-powered HVAC unit, it still has electrical components. If these components are not working correctly, they can cause your system to waste fuel, not work correctly, or not work at all. Even with regular maintenance and care, older units are going to start to fail. According to ENERGY STAR, replacing a unit that is 10-15 years old can save you up to 20 percent on your heating and air conditioning costs.